We are located in Rovaniemi, the capital of Finnish Lapland. We are passionate about sharing our lifestyle and its what we do best. 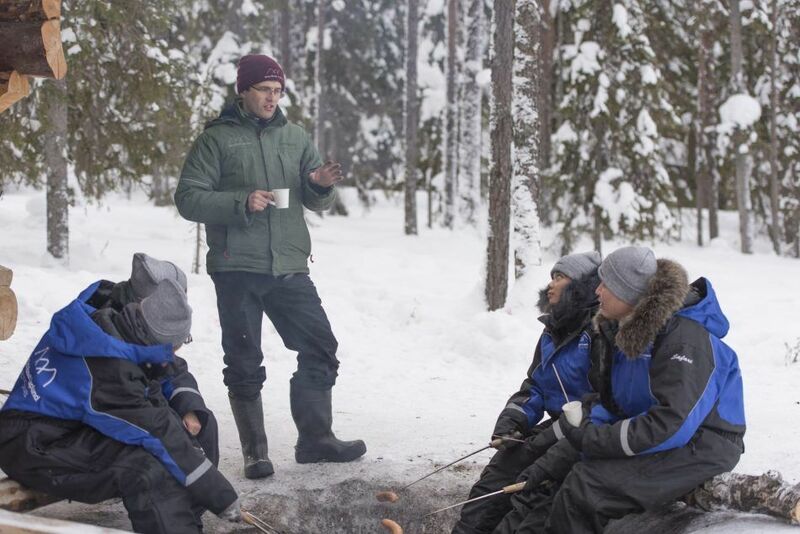 The main goal in Wild About Lapland is to provide tours that allow all individuals to experience exactly what they wish for, whether it be to experience the Northern lights or to learn how to ice fish or even to take a Reindeer ride and meet Santa. Some people just want to see what snow looks like! Theo Turner, the owner, and lead tour guide has extensive experience of the outdoors. He is a former Royal Marine Commando and Professional Outdoor Instructor. He has a great understanding of the Northern Lights and the Wilderness and how to survive and appreciate it. Now one of his greatest passions is to share the natural phenomena, opportunities, and beauty that the Finnish Lapland has to offer. While on any of our specialized tours we will give you more than just the experience you’re looking for. What we want you to get out of it is knowledge! 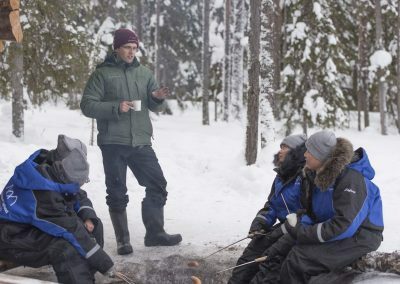 When you finish the tour you will have a good understanding of your surroundings here in the Lapland wilderness, the local people and the Saami people, the wildlife, and even a few key Finnish words. We also want all Solo travelers to know that we will happily run a tour just for them. 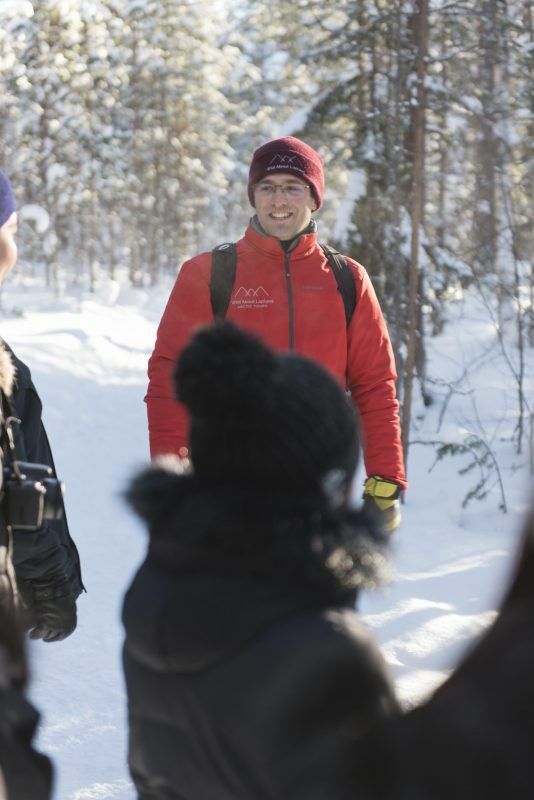 We do this because we at Wild About Lapland have also been solo travelers in our time and take our hat off to people who are brave enough to seek new adventures alone. If you are travelling with your family and wish to have a tour that is specifically fitting to your family then please give us a call. We will happily arrange something that suits your needs. We can even try and arrange tour times around your children’s nap times! 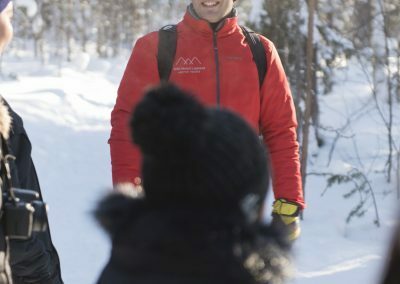 If you are arranging a trip away for your colleagues, employees or business partners then please send us an email with a detailed list of things you wish to achieve and experience whilst in Lapland.